Why did I buy this monstrosity? Are you having technical difficulties with it? It is monstrously large. But it's an impressive monster with it's own kind of beauty. I saw it in New Mexico a few years ago and it was pretty amazing in person. No technical difficulties as such, although the FEF-3 is too big to run on any of my inside lines and derails; but that's the point I guess. It's huge, and I went to a reasonable amount of trouble to get the entire train with the water tenders and the Spirit 1943 diesel locomotive. I stumped up for the tender lighting kits as well, but they seem very dim compared to some YouTube videos I've seen. Not sure if I have done something wrong there. I had that issue on a previous layout. 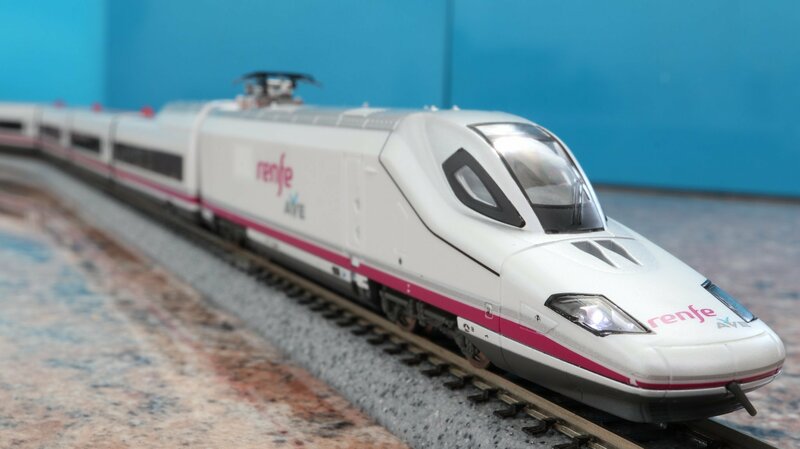 It's a real disappointment when you're excited about a new loco only to find it derails when you bring it home. My issue was with the GS-4 and was also only on one track, but I was still bummed about it. I wish companies would do a better job of clearly listing minimum radii for sensitive locos. Kato lighting kits can be extremely tricky. It can be difficult to get good contact between the LED and the diffuser, which seems to be key. Sometimes a tiny piece of scotch tape can help. Thanks to a friend in Poland, I was able to get another 2nd class coach for the prototypical full 6-car formation of the Berlin-Warszawa-Express. (Book-) case closed. Time for the next project. More British private owner wagons from the Peco line. 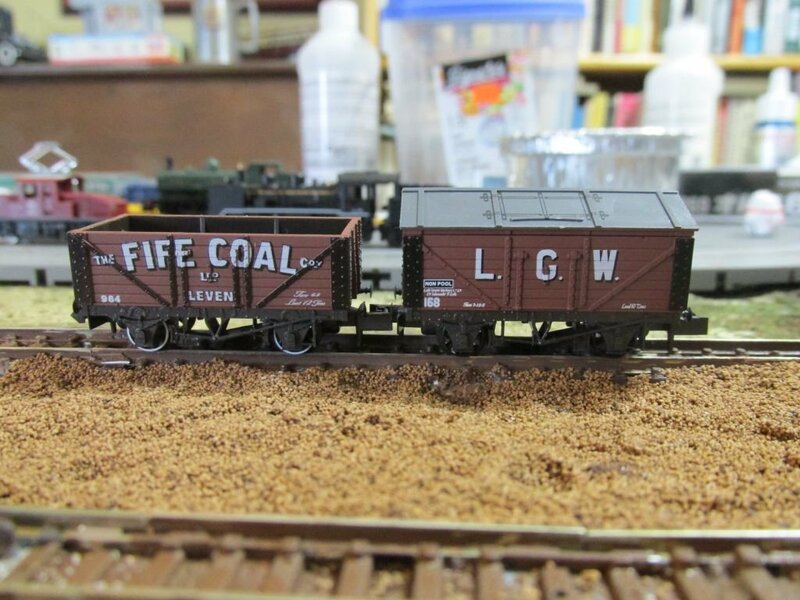 The Fife Coal and L G W wagons are Peco brand Scottish wagons exclusive to Harburn Hobbies of Edinburgh, Scotland. 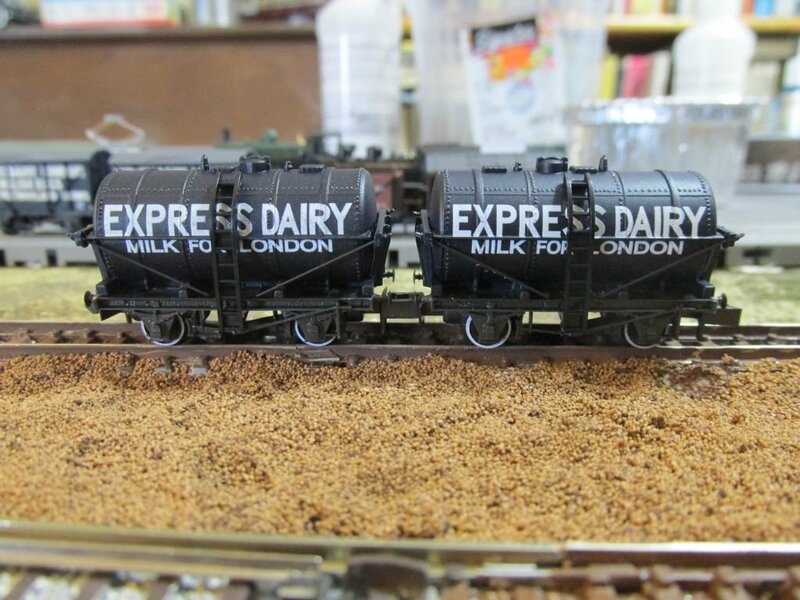 I also picked up a couple of Express Dairy Milk for London wagons from Harburns. 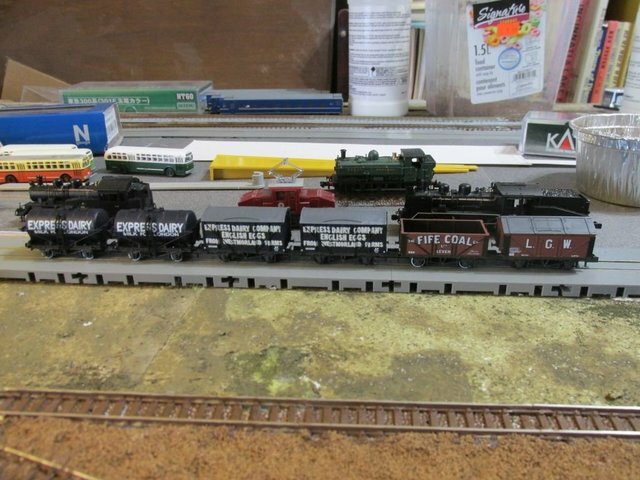 The final photo is six of my seven British Big Four era wagons. I plan on adding a couple of Collett coaches this spring. I will run these behind my Japanese steamers. 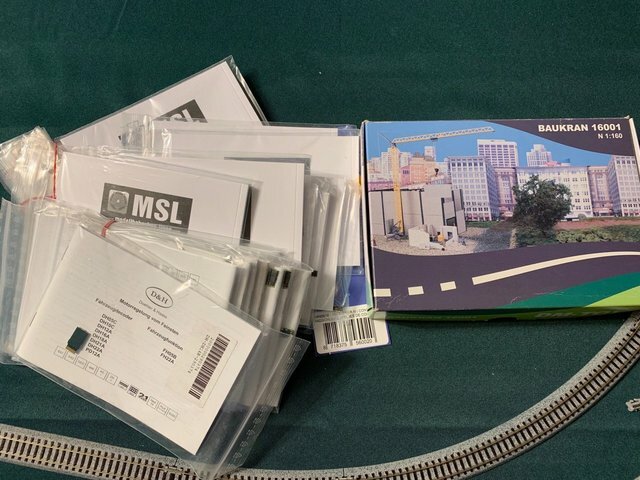 Box from Modellbahn-Lippe.com came today. 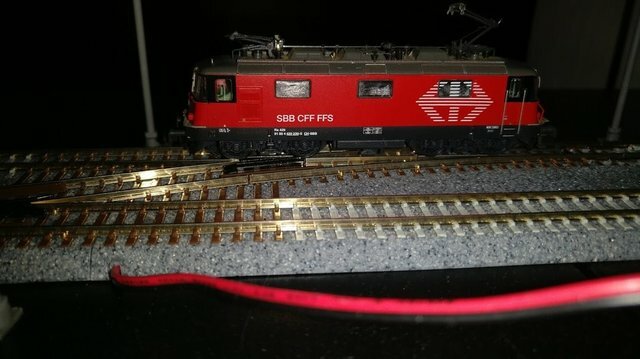 Just a bunch of decoders (mostly for the EM13 boards, though a couple other ones including a Trix 14pin), some Digikeijs contacts for adding to rolling stock that normally don't pick up track power, and a DM-Toys crane that was on sale. and a DM-Toys crane that was on sale. Ooh I'm jealous. I love that crane. 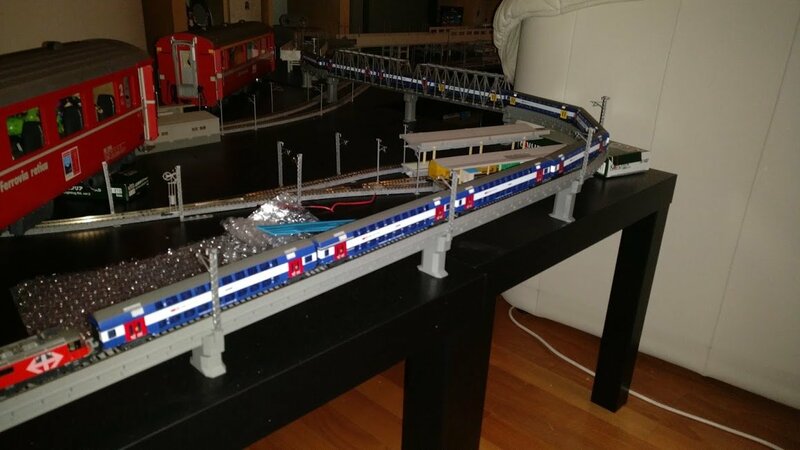 Would you mind posting some feedback about it in the Construction equipment thread when you get round to putting it together. 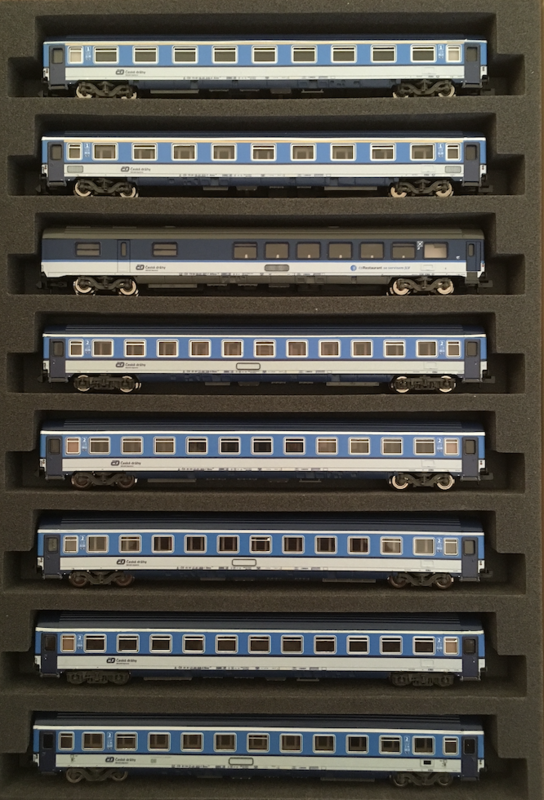 The class 112 was previously released under the brand name Startrain. Really, it's the same company though. No idea why they renamed themselves. Compared to the Startrain version it has been slightly improved (black frames around the headlights, LED light) and the livery has been updated. Funny observations: only 1 car has "In cooperation with DB" logo's, even though Fleischmann pictures it was on all cars. That car is also quite different from all the others. Maybe it was some sort of prototype? 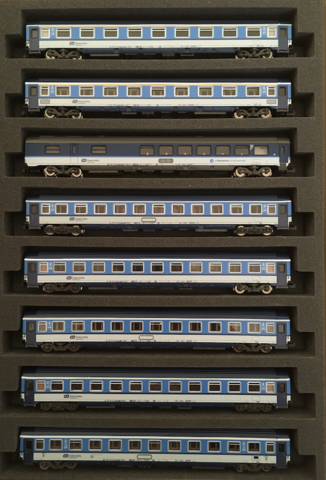 One car of the whole set (a 2nd class car) has different bogies, which is not the one with the DB logo car. Dunno. Anyway a beautiful set. Very nice! Is that a casco case? What model case is it? I would love to have bookshelf cases for my German trains. The Casco cases that work are YP-047, YP-048, YP-547, YP-548 & YP-957 but I always find it hard to get these online (for a normal price). They're either always sold out or have a limit like 1 per household on HS. I always request them when friends visit Japan, as they're rather easy to find in model shops. At least they give you a bag of replacement loco->coach couplers with the set. They are the same (horrible) type used on Kato TGVs. Well, as for the price. That increased on both, the ICE 3 and AVE 112. I guess all manufacturers do that. However, I think the AVE is a much nicer model. I never had any love for Arnold's ICE 3 (or for any ICE 3 model for that matter. The Minitrix model is just as terrible in different ways) and I don't have much hope that it'll much improve with the new model. I didn't get the FEF3 but I got that SD70ACe and since none of my rolling stock is UP ended up buying the excursion train as well. 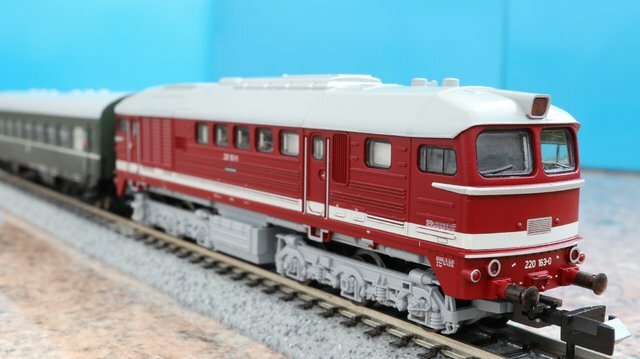 Are you getting the reissue of the George Bush locomotive? Gorgeous paint job on it (and on 'The Spirit" as well). The George Bush 4141 is a very smart locomotive, but I don't think I'll get it. I have very little American rolling stock: just this full train and an Athern Big Boy. 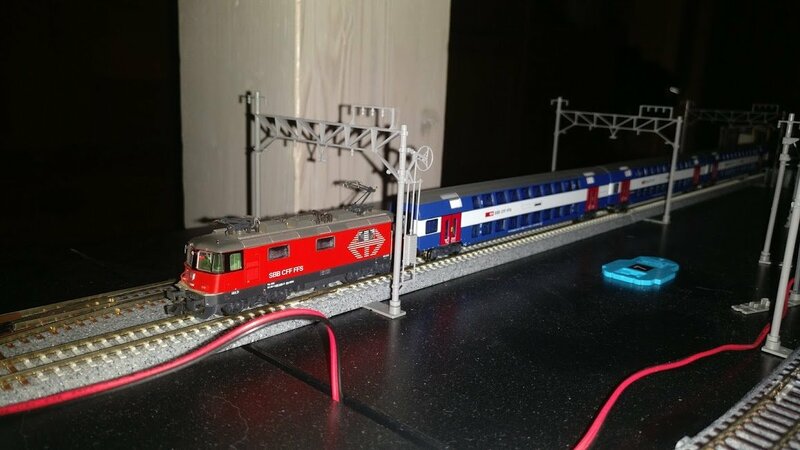 The story goes that I bought the loco first, then needed the coaches behind it. Then after watching some YouTube videos, needed the tender and diesel loco. The regular UP livery diesels don't really stand out when running with the Excursion set, so I decided to get the Spirit loco. Initially I wasn't so keen on it, but it's kind of grown on me. 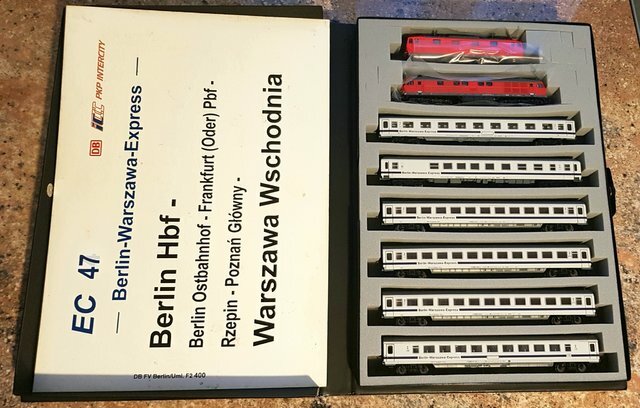 Finally, Märklin released the class E41, so now I have the complete set of Einheits-Elektrolokomotiven consisting of an express class E10, general class E40, light general class E41, and the heavy freight class E50 - yeeha! Found this gem in the last corners of a model train shop. Almost complete too! 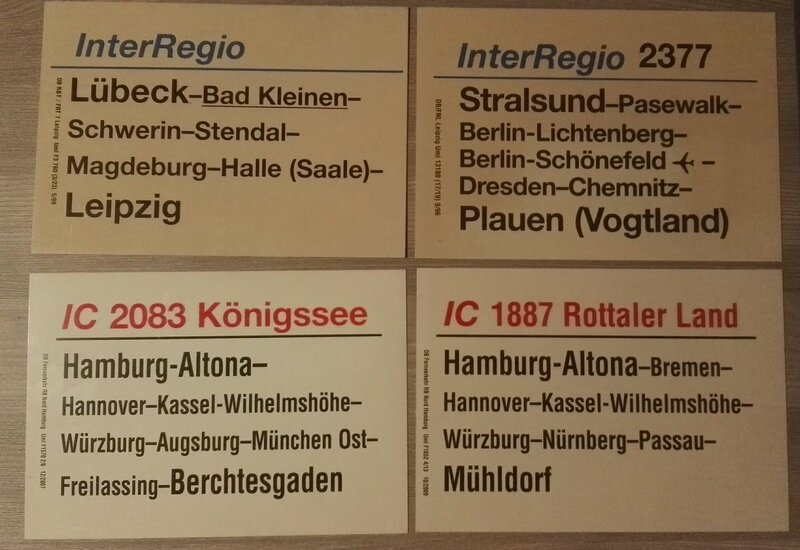 Just now need to find one last expansion set to have a complete HVZ-D "long" with 10 waggons and two locos. I'm currently using two other cars to get the same lenght. But I could also run it with only 6 waggons for a "short" version. 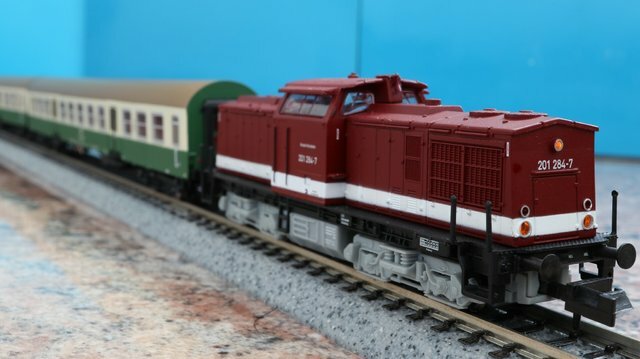 Sadly, the locos short out on the Kato single crossovers, anyone got any experience with Fleischmann locos on Unitrack? It's not that rare, is it? My model train shop has been trying to sell their set for ages at discount prices but nobody buys it. 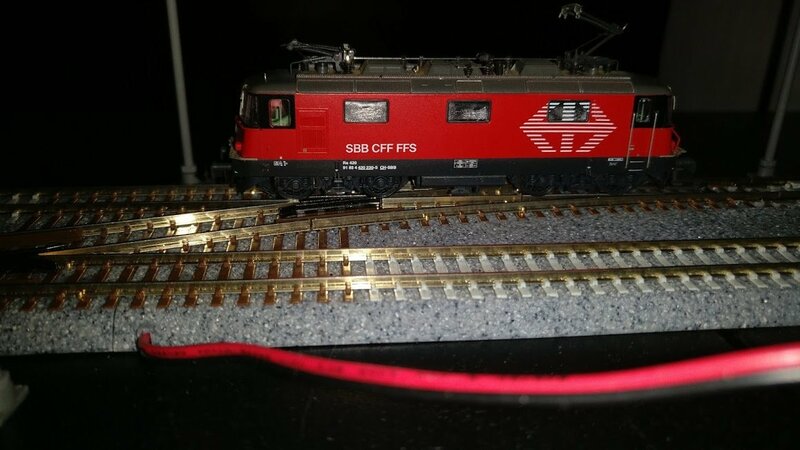 I do not have any problems with Fleischmann (or any other european loco's) on KATO unitrack, though I do not own a single crossover, only double crossovers and the #4 and #6 switches. I was unable to find them online, and desirebility may vary between markets. Still lookin for the 2 car extension set with a B and AB waggon. That is the fascinating thing, it only, but everytime, shorts on the single crossovers straight leg. After having I closer look, I suspect the wheels may bi slightly wider than Kato thinks they should be. My collection was really missing a Taigatrommel. I checked again, the wheels are actually wider. Too wide. Might be interested if the price is right. 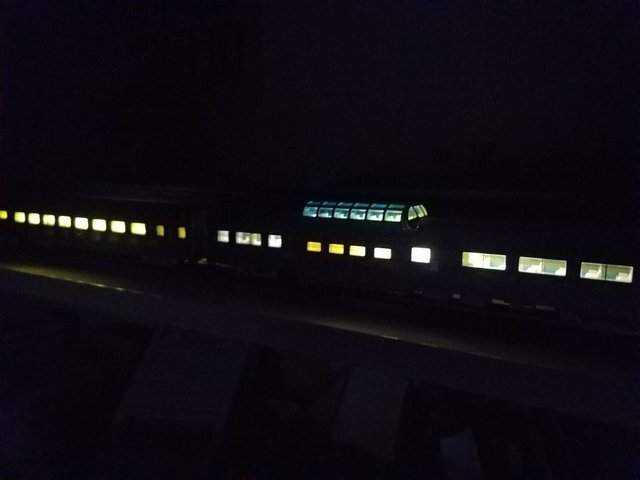 Finally got some BLI HO California Zephyr coaches, something I've wanted since I was in middle school when the first release came out. Now I only need 9 more for the full train!